Location: the weekend’s events will take place at the Russian Hall, The Dogwood Centre and the Grandview Calvary Baptist Church in East Vancouver. Venue details and addresses are listed on the website. We acknowledge we are gathering this weekend, on the unceded territory of the Coast Salish people including the.xʷməθkwəy̓əm (Musqueam), Sḵwx̱wú7mesh (Squamish) and Səl̓ílwətaʔ (Tsleil-Waututh) Nations Our words and actions will reflect our awareness and appreciation that this is occupied land and confront the marginalization and oppression that indigenous people and people of colour face on a daily basis. We commit to rejecting all manifestations of marginalization and discrimination, including, but not limited to patriarchy, racism and white supremacy, classism, disableism, ageism, homophobia and transphobia. The Joint Review Panel has approved the Enbridge Northern Gateway pipeline from the tar sands to Kitimat. Approval is expected from the Harper government at any time. 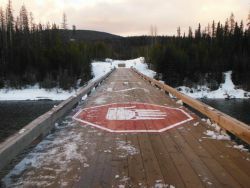 Meanwhile, reports say that construction is beginning on a lesser-known but equally destructive pipeline: Pacific Trail, from the fracking fields of Northern BC to Kitimat. Pacific Trail, which was appoved over a year ago, shares the western part of the route with Enbridge. Enbridge and Pacific Trail are only two of the many pipelines proposed for BC and across Canada. Both projects are doomed, according to land defenders. Two years ago, members of the Unis'tot'en clan of the Wet'suwet'en First Nation set out to block the route for both pipelines. Indigenous leaders are occupying and patrolling the territory as they always have. They have turned away pipeline surveyors, a logging crew planning to clear the route, and RCMP officers.